Banker bonuses bad for work ethics? 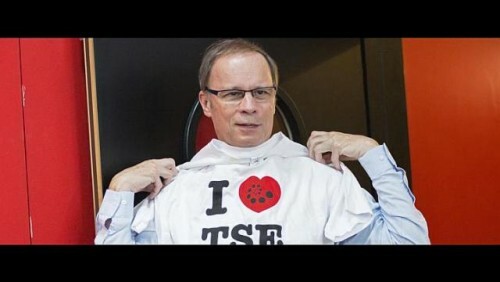 PROFESSOR Jean Tirole, from the University of Toulouse, who has won the 2014 Nobel Prize in economic sciences for his work on industry regulation, has also published an analysis on executive pay and the bonus culture. His conclusion is that performance pay too often leads to short-termism; banker bonuses, in other words, can be bad. In "Bonus Culture: Competitive Pay, Screening And Multitasking", published in April 2012 with Dr Roland Benabou of Princeton University and revised in March last year, the professors lay out a thesis that financial incentives can skew how workers approach their jobs, with undesirable consequences: Competition for the most talented workers leads to an escalating reliance on performance pay and other high-powered incentives, thereby shifting effort away from less easily contractible tasks such as long-term investments, risk management and within-firm cooperation. Competition for the most productive workers can interact with the incentive structure inside firms to undermine work ethics. The academics describe intangible "public-goods provision" from conscientious workers that helps companies in myriad ways, but is not necessarily capable of being detailed in an annual performance review. Those activities do not get rewarded, and therefore employees abandon them, focusing instead on measurable criteria. "Competitive bidding for talent is thus destructive of work ethics, and ultimately welfare-reducing," Dr Tirole and Dr Benabou say. Why spend time doing something that benefits your firm when you could be concentrating on boosting your pay package? The two cite finance as an example of an industry where the structure, not just the absolute level, of remuneration acted as a disincentive to best practice: "Our theory is based on competition not simply bidding up the level of compensation at the top, but also significantly altering its structure towards high-powered incentives, with a resulting shift in the mix of tasks performed towards more easily quantifiable and short-term-oriented ones. This seems to be precisely what occurred on Wall Street as market-based compensation spread from the emerging alternative-assets industry to the rest of the financial world." Prof Tirole, 61, said new rules on regulating liquidity in the world of finance are desirable. "Banking is a very hard thing to regulate and we economists, academics, have to do more work on this." As regulators around the world struggle with the too-big-to-fail puzzle, perhaps there is a role for Prof Tirole advising the overseers on how to structure compensation without inciting the kind of disastrous risk-chasing that sparked the financial crisis.